We are pleased to introduce Spot Colour Ink printing for letterheads and other business stationery such as business cards and compliment slips. What are spot colour inks? Well, think about your finger painting days; you would’ve mixed red and yellow to make orange, or blue and yellow to make green. That’s basically what’s going on here, just a lot more precise. Spot colour inks therefore offer consistency across different print materials, making them ideal for branding. You’ll also enjoy a wider selection of colours to choose from than the CMYK method. 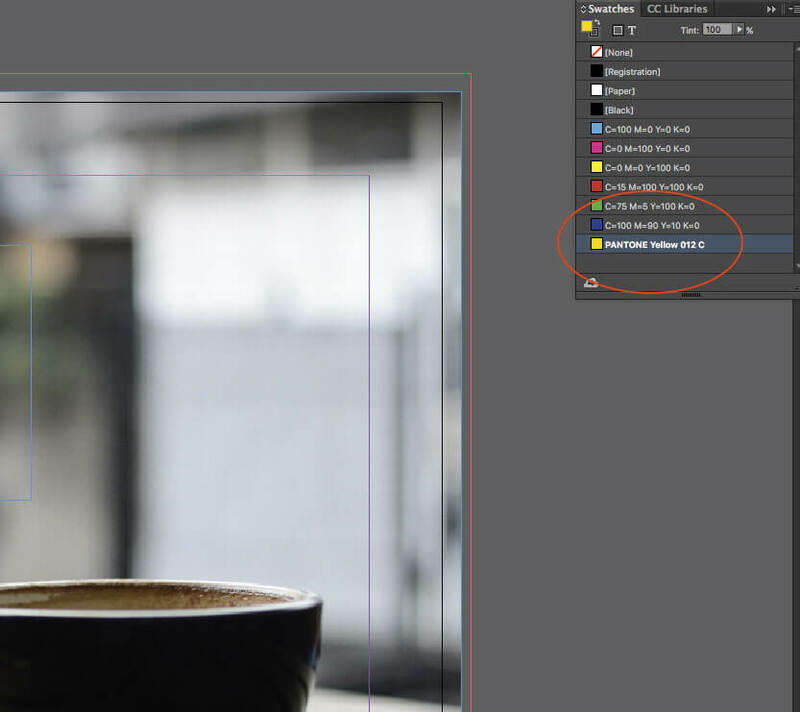 Important information about setting up spot colour inks within your print files. The colours used for Spot Colour Ink Printing come from the internationally recognised colour standards of Pantone and HKS. This means that you cannot simply mix colours from the CMYK colour palette and expect those values to be printed. Our system must be able to read a Pantone or HKS colour reference embedded within the file in order to print the correct spot colour ink. Regardless of how the colour appears on your screen or in your file, we will print from a pre-mixed ink that is true to the system colour. To avoid disappointment, please make sure your file has been set up correctly. For the very best results, we recommend that the spot colour ink does not overprint a background colour and is instead set to ‘Knockout’. Setting up spot colour inks within print files differs from software to software. As a general guide however, you should keep the spot colour ink as a separate colour within your swatches palette and make sure it is not part of the CMYK colour mix. 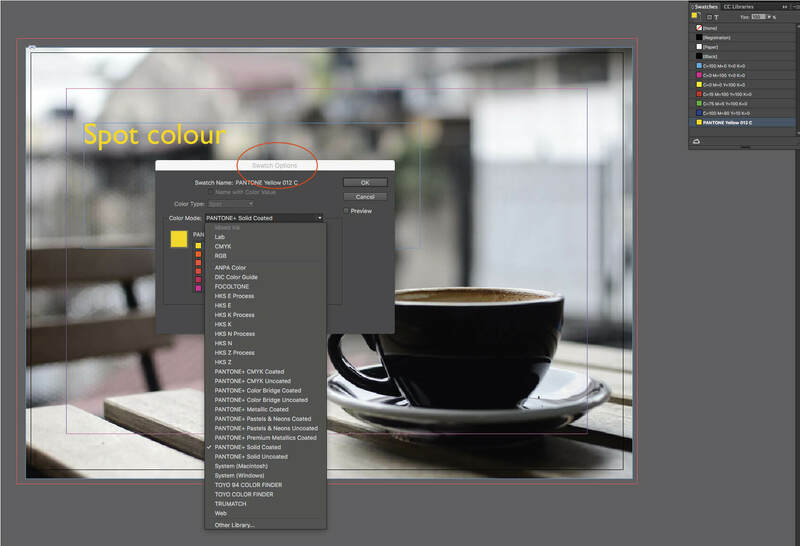 When you add a new colour swatch in Adobe InDesign or Illustrator software, click the ‘Colour type’ dropdown from ‘Process’ to ‘Spot’. Then specify the Pantone or HKS code in the ‘Swatch Name’ field. Your print file should then be saved or exported as a PDF and this will keep the colour separate. Please see our example screenshots from Adobe InDesign below.